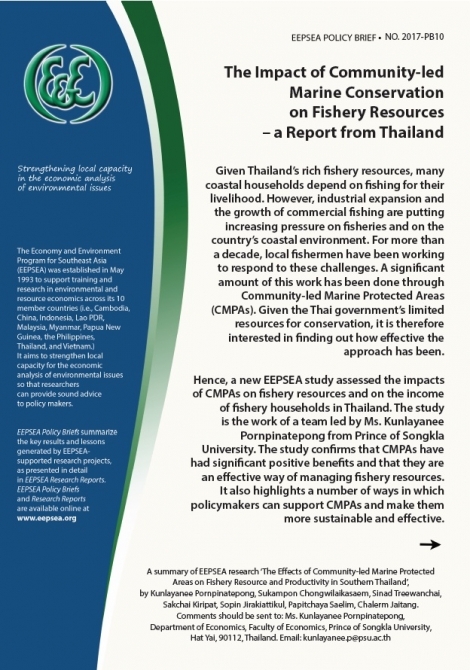 This study assessed the impacts of Community-led Marine Protected Areas (CMPAs) on fishery resources and on the income of fishery households in Thailand. The study confirms that CMPAs have had significant positive benefits and that they are an effective way of managing fishery resources. It also highlights a number of ways in which policymakers can support CMPAs and make them more sustainable and effective.